Imagine using a solar power infrastructure that gives 3x the output of what it currently delivers. That could be a reality with a new light-absorbing material based on nano-particle design, developed by a team of team of UC San Diego engineers led by Prof. Zhaowei Liu and Prof. Donald Sirbuly. Not just a boon for solar cells, the material is also ideal for manufacturing thin films of coatings to be used on transparent windows in cars and buildings, to keep them cool in hot summer days. It won't be wrong to call the material a near-perfect broadband absorber as it absorbs almost 87% of near infrared light with 98% absorption at 1550 nm (the wavelength for fiber-optic transmissions). Interestingly, the material can also absorb light from every angle and if the theories from the books of UC San Diego team moves from lab to land, the material can also be tweaked to filter certain wavelengths of light while absorbing others as per requirements. 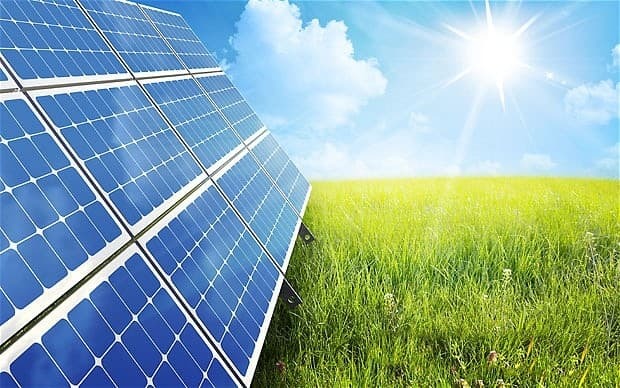 Researchers working on bettering the power to harness solar energy have come up with newer materials that have increased the efficiency of absorbing light with every passing year. We have solar-sensitive nano-particles, cost-effective polymer solar cells and solar cells as thin as a soap bubble too. However, the existing solutions in certain kind of material are not only bulky and inflexible, but also at a disadvantage when it comes to absorbing selected wavelengths while letting others pass through. A good example given by UC San Diego team of engineers is - a window coating used for blocking the heat or the infrared radiations, but also radio waves and normal light from entering the room and also causing a hindrance for transmission of radio and television signals. An optical phenomena called 'surface plasmon resonance', which involves the movement of free electrons that happens together when certain wavelengths of light hit the surface of metal nanoparticles, was used for developing the absorber. The team started with the hypothesis that if they could alter the count of free electrons, they could change the surface plasmon resonance i.e. by lowering the number, they could push it to IR, while making it higher could push it to UV rays. However, the challenge was that it wasn't easy to implement it with metals. Their answer lied in the use of semiconductors. They used Zinc Oxide in combination with aluminum-doped zinc oxide and structured them using advanced nanofabrication technologies. By depositing these materials over each other one atomic layer at a time on a silicon substrate, they created a nanotube array. This array was then transferred to a thin, elastic polymer to create the wonder material. The team's observations showed that, by altering the gap between the tubes, the types of materials itself, the ratio of each materials used and the electron carrier concentration, they could make the material absorb only a certain kind of light. Since the particle design can be transferred to any substrate, it is now possible to make larger surfaces (for instance - that cover entire windows or rooftops) and therefore open up to a large no. of applications. What are your thoughts about the new research work? Share with us in comments below.